The perfect retail interior graphics matter! You’ve done it yourself – you go to the grocery store to buy milk – just milk – and end up with $100 spend at the till! That’s the influence of a good retail sales strategy and retail interior graphics! Basically – placing the essential items that most customers purchase, furthest away from the door, maximising the area they must cover and view to obtain their item. So how does it work and how can planning your store improve your sales? The grocery store is the best example of optimal layout for maximizing sales. 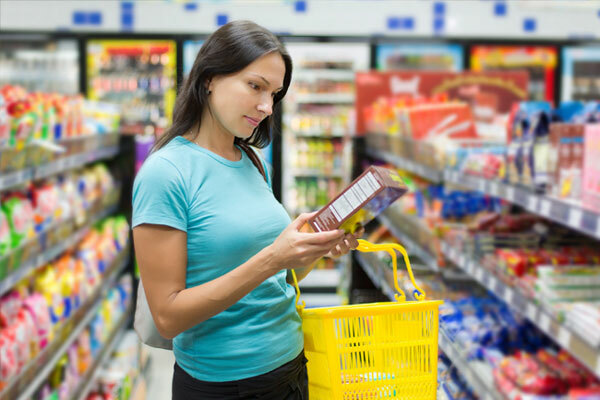 Inevitably many visits to the grocery store are for the essentials – milk, bread, or diapers – so in many successful retail stores they are situated right at the rear of the store. Highly annoying when you are in a rush, but gold for retail sales! When you follow the path to the back of the store, you will find the most attractive deals, the products which make the most mark up and the displays with exciting retail interior graphics, those that are irresistible to casual shoppers. This principle applies to every store – place your best sellers furthest away from the door, and your new lines and slower sellers on the aisles or path leading to the back of the store. Using innovative interior retail graphic solutions can help attract the eyes of even the most focused customer. Point of purchase displays, wall graphics or innovative retail interior graphics by AGRetail are ideal for any store, from groceries to clothing, cosmetics to Toy Stores, we can help you create the retail graphics to help you make more sales! For more details on our retail interior graphics, call us today!